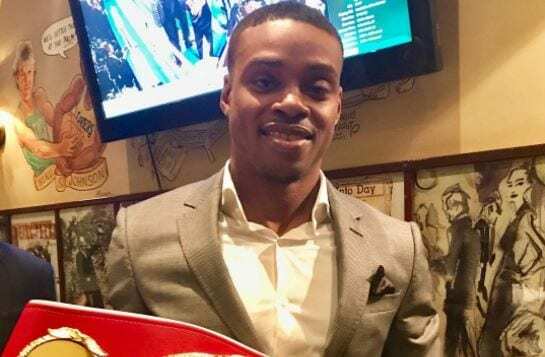 The IBF welterweight belt arrived in the US today to a delighted Errol Spence Jr who beat UK fighter Kell Brook to take the strap recently. The IBF welterweight belt is no longer in the possession of Kell Brook officially today as Errol ‘The Truth’ Spence Jr received the reward for his years of sacrifice. He realized his dream of becoming champion of the world last weekend in a classic battle in Sheffield, UK, in front of a sell out stadium crowd. Attention now turns to who might be next. Plenty of options at welterweight are out there Stateside – with the likes of Keith Thurman and Danny Garcia being touted highly as possible opponents – due to the relative ease it would be to make either fight as all three box under the Premier Boxing Champions TV series banner. Manny Pacquiao also holds the WBO belt at 147lbs and after Spence’s win over Brook, the American made clear that it’s the champions he wants next in unification bouts. Pacquiao must take on Jeff Horn in Australia next however and is lined up for a possible fight with Terence Crawford thereafter, so realistically he might not be a possibility for Spence in 2017. Presumably Spence will be able to select a voluntary defence of his belt next up after just winning the belt, but kudos to him if he goes for the tough unification fights next. That kind of attitude is what boxing needs more of.